As the world’s leading payment service, PayPal Express offers payment solutions for consumers and businesses. Having more than 100 million members in 190 countries and regions, Paypal infrastructure integration helps you to accept online payments and increase your sales. To add the PayPal payment method, you must first have a PayPal subscription registered on the system. If you have purchased PayPal, please follow the below steps to add PayPal payment method on the HotelRunner system. Please first click My Property / More/ Payment Methods from the upper menu of HotelRunner. Please click the Add Payment Method button from the opening screen. 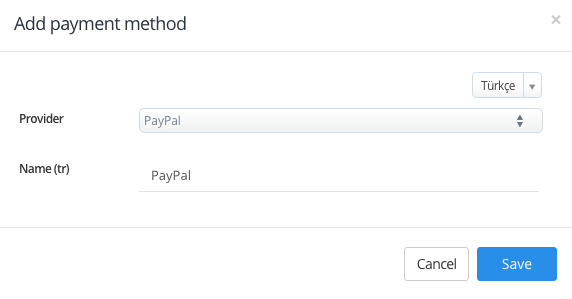 Please determine the title you want to assign to the payment method, select PayPal as Provider and then click the Save button. 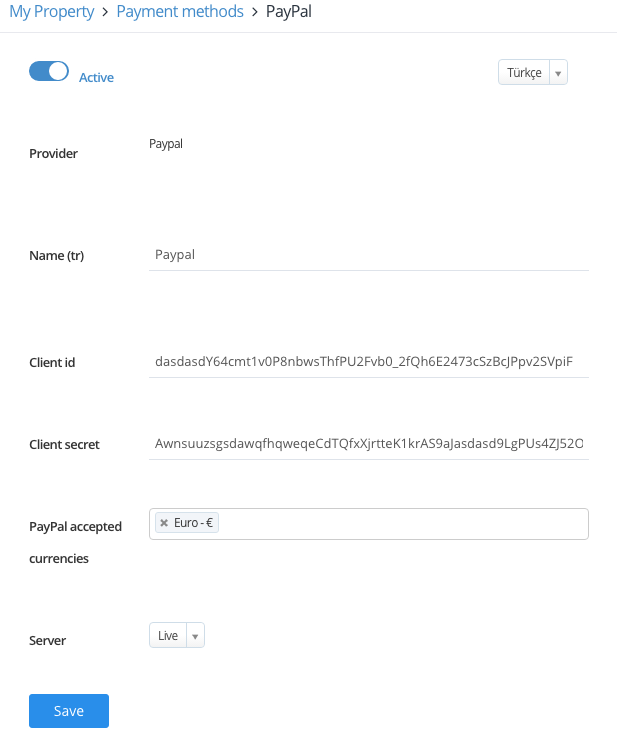 Please add the server details specified by your PayPal provider in the screen opening after adding PayPal, and then click Save.